Apples existed as wild fruit since prehistoric times and have been cultivated for more than 3000 years by Greeks, Romans, Egyptians. The apple tree can now be found in almost every single corner of the world. 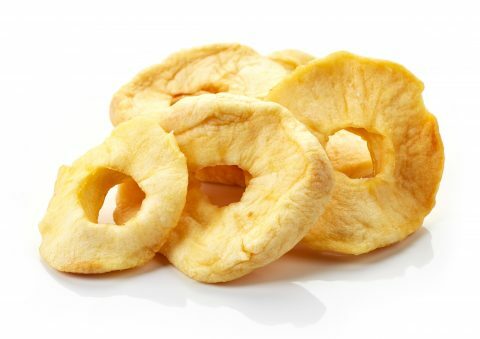 Countries drying apples and producing Apple Rings for the confectionery, and Apple dice for the Breakfast cereal manufacturing industries, are China, Chile, California and in a smaller extent Italy. The sharper flavour and whiter flesh can be found in the Granny Smith variety mainly in Chile and California, and the somewhat sweeter flavour and yellowier flesh, in the Fuji variety in China. Apples are a good source of fibre and vitamin C.